I want one to mount on my motorcycle! Is this the one you move your phone around and it moves too? I think so. 360fly.com is a cheap version - geared to compete with go pro. You can change the viewpoint 360 degrees in the video. Pretty cool. The problem is that when you start walking around to shoot footage you will always. be in the frame. Thats why i build a camerarig that controlled remotely and stays out of the frame. It can't climb steps but on a flat floor it works great. I build this for a client who wanted a real 360 video of his home. Can't show it jet sorry. I think its going to be competition for MP in the near future. While 360º spherical video cameras such as Sphericam2 and 360fly are exciting - for indoor static spaces – I do not see them as a direct threat to Matterport. That said, I like that we share other related technologies in the MUG Forum so that we can discuss the Pros and Cons. Plus, as a Pro, you may decide to offer additional solutions to you clients. 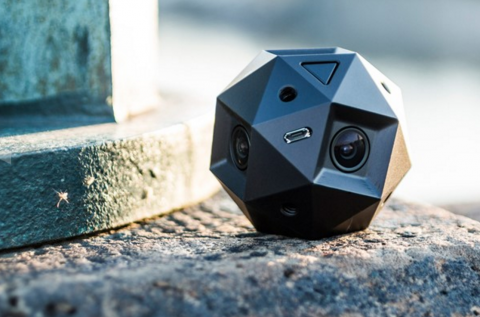 Anyone have the Sphericam 2 that can give some insights? Edit* It seems like it is not out yet, though I thought I saw examples of it..maybe is limited beta? or sphericam 1? I'm on the list! Can't wait! I think it will bring us another option to offer. Any dates on when you will get it? I literally just placed my order...says 10-12 weeks but from what I have read, it could be longer.